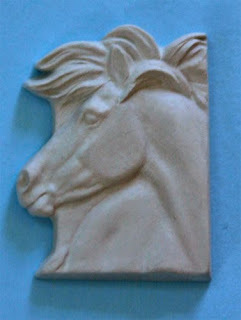 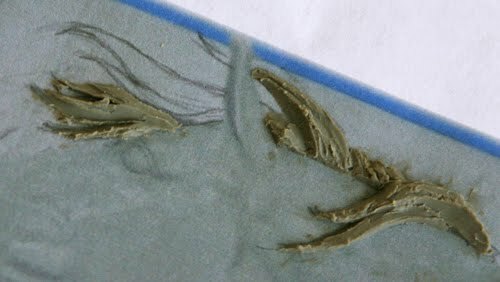 Since a batch of these guys just went into the kiln with the first Elsie bisque, I thought I would share a sneak peek. Each year I try to make something for Christmas. 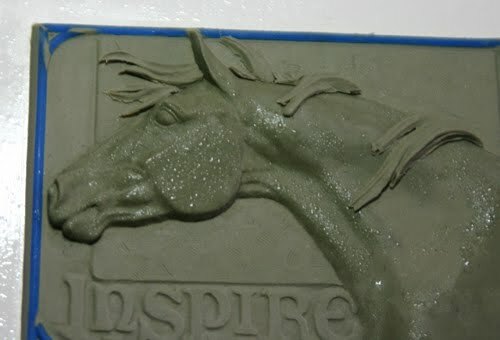 Usually it is a medallion or an ornament, but this year I wanted to do a pendant. He is really small – just over an inch tall. He is a shrunken and reworked version of the 2008 Christmas ornament. 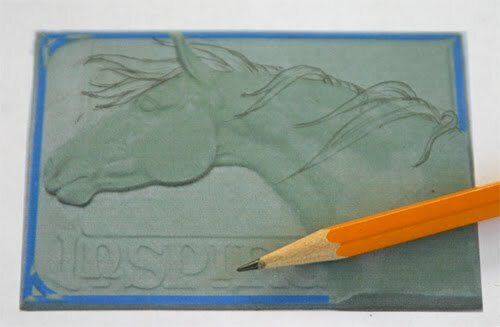 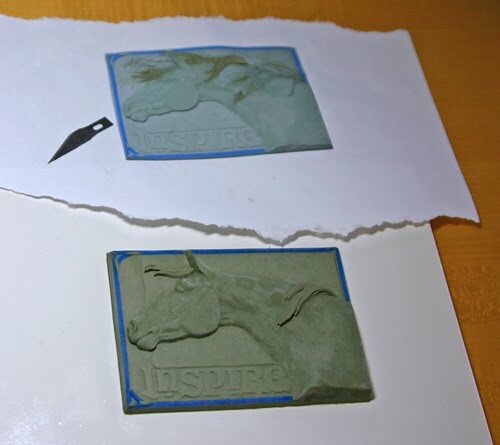 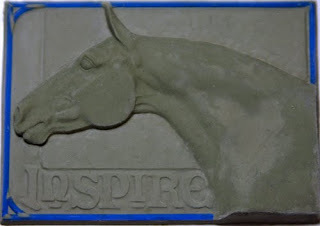 Unlike previous bas relief shrinks, which were done using the shrinkage of the clay, this (and the ornament before it) were done using a material called HydroShrink. 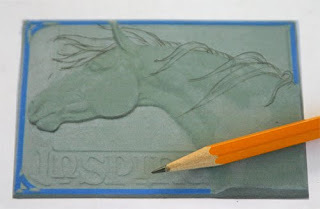 I had hoped that it would make shrinking quicker (which it did) and easier (that part is a little questionable). 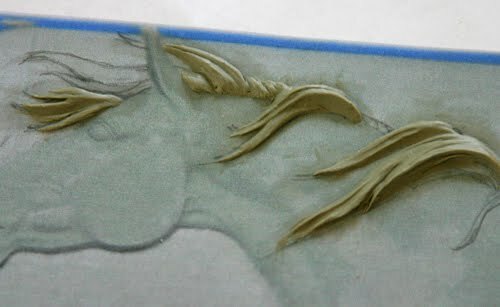 I will try to get some pictures of the process and talk about its pros and cons in a later post. He is designed so that holes for stringing can be worked in his mane, either one at the top or one to either side.